A collaborative project with Kadist Art Foundation (Paris) involving the commissioning of new works by Moshekwa Langa (SA) and Nora Shultz (DE) exhibited at Kadist. 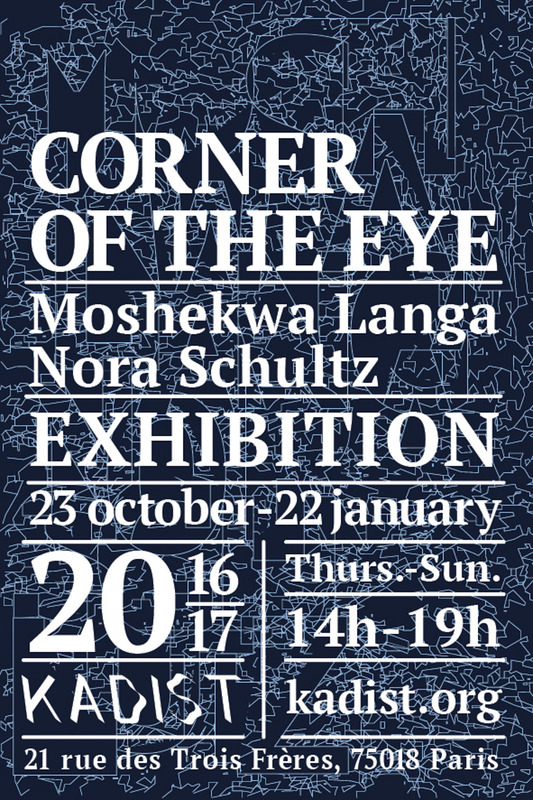 The project is catalysed by a material resonance between the works of the artists Moshekwa Langa (SA) and Nora Schultz (DE): telluric painting intersecting aerial sculpture. Langa and Schultz produce works in residency at Kadist, working in parallel towards a combined exhibition. The respective residencies are advanced by a conversation and sharing of images, texts and references over several months.